Fraud Protection, or Fraud Management, software helps e-commerce businesses detect high-risk transactions and analyze risk factors in order to prevent and reduce fraudulent customer behavior. Fraud protection software reduces e-commerce businesses’ susceptibility to fraudulent product orders by applying algorithm-based analysis to data sources to assess the potential risk of each transaction. E-commerce businesses are particularly susceptible to fraudulent and suspicious transactions because orders are placed on a website or mobile device. Fraud prevention software analyzes information from many sources before recommending approval or rejection of customer profiles. The software identifies anomalies and prevents potential chargebacks and lost revenue. Fraud protection software integrates with e-commerce platforms and behavioral and predictive analytics software. Comply with regulations and standards of evaluating fraud. Protect sensitive and confidential customer information. Fraud Protection reviews by real, verified users. Find unbiased ratings on user satisfaction, features, and price based on the most reviews available anywhere. Signifyd uses big data and machine learning to take on liability for fraud so online merchants can provide their customers with friction-free buying experiences, free from false positives and orders delayed by fraud reviews. Riskified improves global eCommerce for the world’s largest brands. Inaccurate eCommerce fraud prevention costs businesses billions in chargebacks, overhead and unnecessarily declined orders. Riskified uses powerful machine-learning algorithms to instantly recognize good customers and weed out bad with a 100% chargeback guarantee. Merchants can safely approve more orders, expand internationally and eliminate the costs of fraud while providing a frictionless customer experience. iovation protects online businesses and their end users against fraud and abuse, and identifies trustworthy customers through a combination of advanced device identification, shared device reputation, device-based authentication and real-time risk evaluation. More than 5,000 fraud managers representing global retail, financial services, insurance, social network, gaming and other companies leverage iovation’s database of billions of Internet devices and the relationships between them to determine the level of risk associated with online transactions. The company’s device reputation database is the world’s largest, used to protect 26 million transactions and stop an average of 400,000 fraudulent activities every day. The world’s foremost fraud experts share intelligence, cybercrime tips and online fraud prevention techniques in iovation’s Fraud Force Community, an exclusive virtual crime-fighting. Zonos makes cloud-based software that online retailers can use to calculate accurate duties and taxes, present true landed cost, manage restricted items, localize their checkout, receive foreign payments, mitigate fraud, and generate accurate international shipping rates. With Zonos, retailers can increase conversions on international orders by welcoming shoppers to their website and setting expectations on what services are provided. They can also save time and money by simplifying the international shopping experience for both merchants and shoppers. Sift, formerly Sift Science, is the leader in Digital Trust & Safety, empowering companies of all sizes to unlock revenue without risk. Sift prevents online fraud and abuse with industry-leading technology and expertise, an unrivaled global data network, and a commitment to building long-term partnerships with our customers. Twitter, Airbnb, and Twilio rely on Sift to stay competitive and secure. The Sift Digital Trust and Safety Suite, powered by real-time machine learning, is designed to learn from live events taking place on desktop and mobile applications across the global network of Sift customers. Sift customers collect, analyze, and learn from hundreds of millions of events each day. Sift produces real-time scores for every step along the user journey, including account creation, logins, orders, content posting, and any custom events along the way. By taking a holistic look at users, Sift is able to detect multiple types of fraud (payment fraud, fraudulent content, account takeover, promotion abuse, and fake accounts) as well as offer proactive ways of stopping each. Visit us at Sift.com and follow us on Twitter @GetSift. FCase is an end-to-end Fraud Orchestrator. Taking fraud management systems from basic, standalone detection to an enterprise-focused approach. This holistic view of fraud data allows standardizing fraud case interaction, fraud management processes, governance models, performance and quality indicators. Our next generation technologies aggregate distinct data platforms, collecting information from multiple fraud detection sources to manage fraudulent activity in real-time at an enterprise level using adaptive analytics. FCase spans the entire financial crime, risk compliance and customer care systems, centralizing alerts and events into one enterprise-wide investigation platform for all your fraud investigation and fraud compliance reporting needs. FCase consolidates multi-channel fraud data, simplifies fraud management, centralizes data analytics and significantly improves efficiency. " FCase Fraud Orchestration mission control. #All your fraud investigations in one place "
Using email addresses for powerful online fraud risk scoring. Grow your business, not your risk. We provide powerful network intelligence and predictive fraud risk scoring to enable the frictionless experience that your customers expect. Our online fraud risk scoring uses email address metadata as a basis for transactional risk assessment and digital identity validation. With a clear picture of who is behind a transaction, you can expedite approvals, prevent chargebacks, automate workflows and optimize manual review. SheerID helps brands create digital trust, instantly. SheerID's digital verification platform verifies a consumers eligibility to redeem a brand's gated offer. By using authoritative data sources to verify consumer credentials in real-time, SheerID delivers a seamless customer experience that improves customer acquisition, reduces churn and fuels loyalty and revenue growth. Based on the Card Associations 3-D Secure technology, cGate SecureVerify provides verification to the merchant that the buyer is the authorized owner of a card account, thereby reducing the number of unauthorized payments, resulting in fewer chargebacks. Business InstantID speeds the process, reduces customer friction and minimizes your risk. We’ve combined instant verification with critical intelligence that sheds light into the business and its reps.
FraudHunt helps companies to monitor their traffic quality, mitigate malicious bot activity, and prevent click fraud, account fraud, and other types of online fraud. Our team has put a lot of effort in developing a product that is able to introduce an alternative way of user labeling, not based on cookies. As a number of ways, which enable manipulating with cookie files, is growing day by day such an alternative is becoming particularly topical for marketing companies worldwide. We use a complex trigger system to detect fraudulent users and malicious bots. Our fingerprinting technology allows us to mark each device with a resistant key and detect such fraudulent techniques as User Agent changes, Emulations, Automated actions, etc. The solution will be useful for Ad Networks, E-commerce projects and online communities to ensure top level service for their quality customers while blocking all kinds of malicious bots and fraudsters. Fraud.net is the leading fraud prevention platform for digital enterprises in the e-commerce, travel and financial services sectors. Its unified algorithmic architecture combines: ● cognitive computing/deep learning, ● collective intelligence, ● rules-based decision engines, and ● streaming analytics ...to detect fraud in real-time, at scale. Fraud.net is the only cloud-based "glass-box" system, offering a full and transparent presentation of the data, statistics and contextual variables to help organizations simultaneously reduce risk and optimize business processes. Enterprises can simplify their fraud management, defending against different types of fraud through one unified solution. The solution covers many use cases, including: ● Account Takeover ● Application Fraud ● Call Center Fraud ● Chargeback Protection ● Collusion ● Gift Cards & Rewards ● ""Friendly"" Fraud ● Insider Threats ● KYC & AML ● Loan & Credit Fraud ● Mobile Fraud ● Omnichannel Fraud ● Payment Fraud ● Return Fraud ● Synthetic Identity ● and much more. Please call or visit us to arrange for a free consultation. LexisNexis Trail Tracker enables investigators to plan a course of action for each investigation, identify activities needed, document investigations, create reminders and manage records. LexisNexis TrueID helps organizations instantly authenticate identity documents in face-to-face transactions, fight fraud and improve the customer experience. Java floating license server. It is a free redistributable floating license server with support for customizing. MarkMonitor is the only brand protection solution that spans all channels so your brands are protected no matter what digital venue the criminals target. PAAY is a secure way to make payments with one user ID, online, offline and everywhere in between. PAAY's two-factor authentication process allows consumers to checkout in under 30 seconds while being secure. Pixalate delivers the only unified suite of real time fraud protection, market intelligence and independent quality ratings across devices and channels. 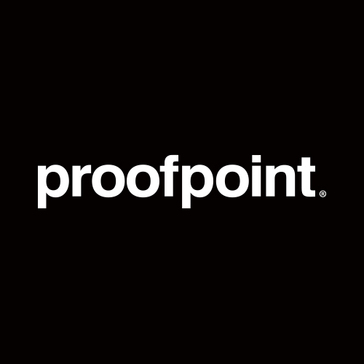 Proofpoint Domain Discover for Email gives you the actionable intelligence to preemptively stop impostor emails before they reach your inbox. Reputation Manager 360 protects online businesses against fraud and abuse through our industry-leading combination of shared device reputation and real-time risk evaluation. SecurityMetrics provides PCI, HIPAA, and GDPR Compliance programs for large groups of merchants, for individual SMBs, and for enterprise-size organizations. Through a combination of compliance management software, vulnerability scanning, penetration testing, audit services, managed security services, and security consulting and training, SecurityMetrics offers a its customers a unique combination of products and services. SecurityMetrics helps customers close data security and compliance gaps to avoid data breaches. They provide managed data security services and are certified to help customers achieve the highest data security and compliance standards. As an Approved Scanning Vendor, Qualified Security Assessor, Certified Forensic Investigator and Managed Security provider SecurityMetrics guides organizations through compliance mandates (PCI, HIPAA, GDPR) and has tested over 1 million systems. The privately held company is headquartered in Orem, Utah where it maintains a Security Operations Center (SOC) and 24/7 multilingual technical support. Shufti Pro is an Identity verification solution that employs AI and HI hybrid technology to adhere to KYC and AML compliances for businesses worldwide. Sporting high-end technology like biometric facial recognition, liveness detection, anti-spoofing techniques, etc., Shufti Pro allows its clients the room to trust and expand their organisations in a secure way. Streamline due diligence with comprehensive results in one easy-to-read consolidated report. SmartLinx enables you to leverage the LexisNexis data repository and LexID to answer questions faster with links to relevant information, organized by category. Student Affinity Network that connects a verified global student audience with relevant brands and services. Vitrium Systems is a document security and management system. It protects and controls access to files. Users can setup permissions for assigned users and view analytics on their use. Sift is the leader in Digital Trust & Safety. Seize new revenue opportunities without risk, increase customer satisfaction. Account takeover, where existing accounts are accessed and exploited by wrongdoers, has become a popular fraud technique. With the multitude of phishing schemes and data breaches, passwords are becoming antiquated as they are no longer providing adequate security. Precognitive’s deep levels of device, behavior, and biometric data aggregation combine to deliver a context-aware, real-time defensive front. Precognitive’s future-forward, emerging technology provides passive multi-factor authentication to outmaneuver and outpace fraudsters, beating them at their own game through constant innovation. With Acropolis software license manager, we take care of everything for you. The license server and the hosting come together as an all in one unlimited license user package. We set up and operate the license server infrastructure and ensure its uptime, security, and scalability. Adloox offers the deepest Brand Safety, Fraud and Viewability data analysis in the digital market today. Argoscope is a payment monitoring solution, designed to detect and prevent fraud in organizations. The system monitors the entire payment process, conducting real time risk assessments before approving fund transfers. Argoscope is comprised of hundreds of unique algorithms that enable the managerial level, continuous supervision and preclusion of any unusual payment, in real time and in a manner of seconds. Argoscope provides regulatory compliance without interfering to the workflow. Arkose Labs solve multimillion-dollar fraud problems for the world's most targeted businesses with zero friction to users. AuditBOT SAP License Saver saves SAP license cost and optimizes SAP user license distribution. License server software with roles: activation, deactivation, modification, online validation. It includes access control settings and advanced e-mail notification templates and rules. Bacsactive-IP Web Enterprise is a platform can handle simple low volume payments right through to the most mission-critical of payment operations requiring complete automation with sophisticated authorisation. Bindwise helps Amazon sellers listen, analyze, and react to everything on Amazon. BlockScore is an identity verification and anti-fraud solution for online transactions. Brand Protection is an online monitoring platform that automates the process of collecting large amounts of data available across global marketplaces, auction sites, trade boards, mobile app sites, and more. Our robust, patent pending technology helps you fight infringements and makes brand protection affordable for organizations of all sizes. Hi there! Can I help you find the best Fraud Protection solutions?